Isaac Newton had a very hard childhood. His father died before he was born and when he was only three his mother remarried. Her new husband wanted nothing to do with Isaac and insisted that Isaac should live with his grandparents and not with his mother and her new family. Isaac grew into a quiet, isolated soul who buried himself in books and who did not get on well with others. His mother wanted him to take over the family farm but finally came to realize that her son was destined for something else. She then agreed to allow him to go to university and Isaac went to Cambridge. Even though he was finally in a place that suited him better, Isaac still did not fit in. Isaac did not want “to be told how the world worked.” Instead he wanted to figure out the truth for himself. Because the system at Cambridge was “out of date” Isaac set about educating himself with the books that he found in the splendid libraries. And, with the help of sympathetic and helpful tutors, Isaac was able to make huge breakthroughs in mathematics and other subjects. In fact he was months and even years ahead of others who were working in the same field. Unfortunately Isaac, for reasons of his own, refused to publish his findings. 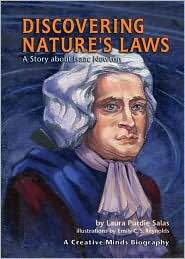 As a result arguments later broke out about who discovered certain laws and equations first and it caused a great deal of grief for Isaac and his colleagues. There were those who said that Isaac was the first and those who said other people were. It caused a great deal of friction in the scientific community. Though Isaac was very reclusive and quite eccentric when he was young, as he got older he became more outgoing and made friends. When he finally left Cambridge he got a job at the mint and went to live in London becoming quite a gentrified gentleman who was well respected and who was later knighted by Queen Anne in 1705. Without a doubt Newton both changed the way we think about our world and he changed the way we study it.